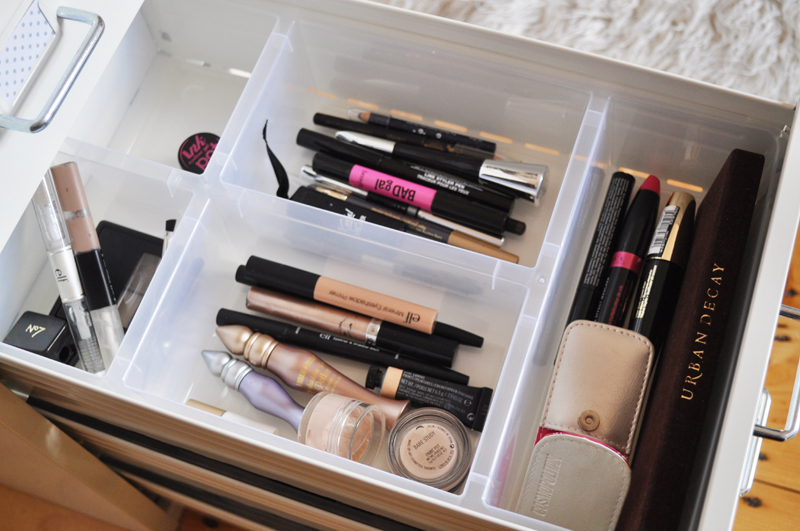 It wasn't that long ago I posted about my current make-up storage but I've actually just changed it all up! I liked my old storage but I didn't love it. 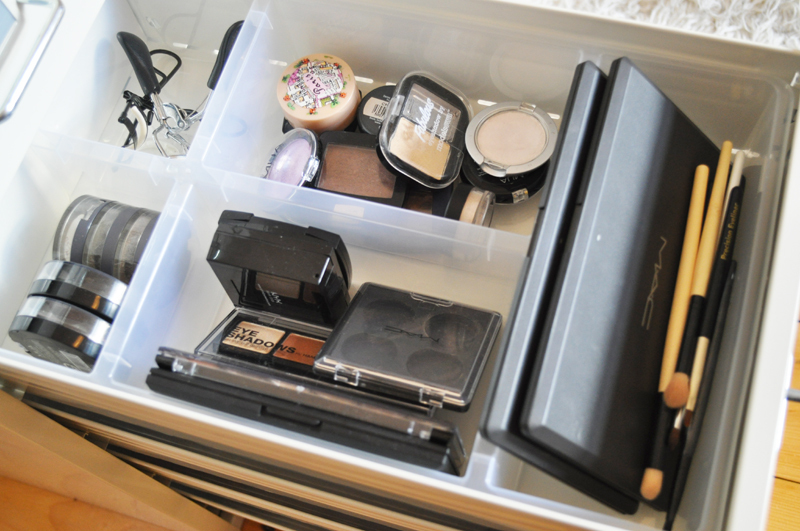 The drawers were too small and full and I found myself only using the products that I could see on top. With my new storage I can see everything and I have room for new purchases. 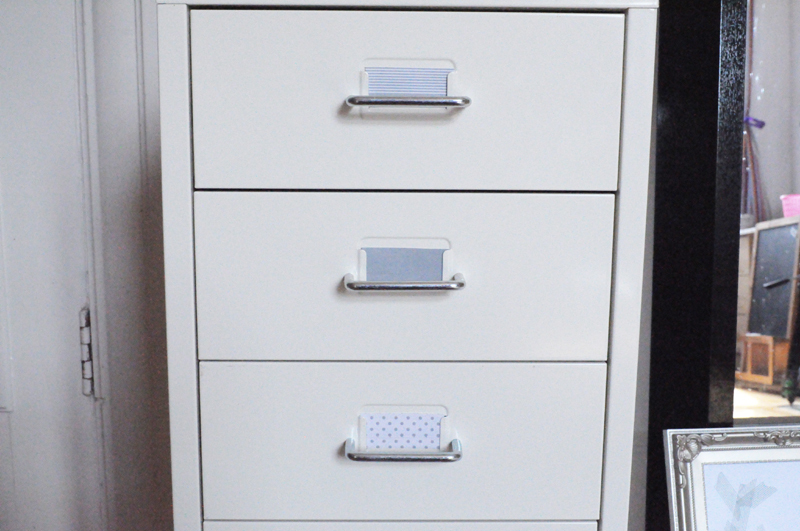 After reading Charlotte's blog post and watching Lily's video I decided to go with Ikea's Helmer. I was originally going to buy a Helmer for my nail polishes but then I went with the argos drawer set which I preferred. The drawer inserts are called Antonius and come in one configuration and size. The best part is they cost just under £2 each and fit in the Helmer perfectly. I've added washi tape to the labels just to make them look nicer and then I'm going to label them using my dynamo. Note to self: buy some more dynamo tape. 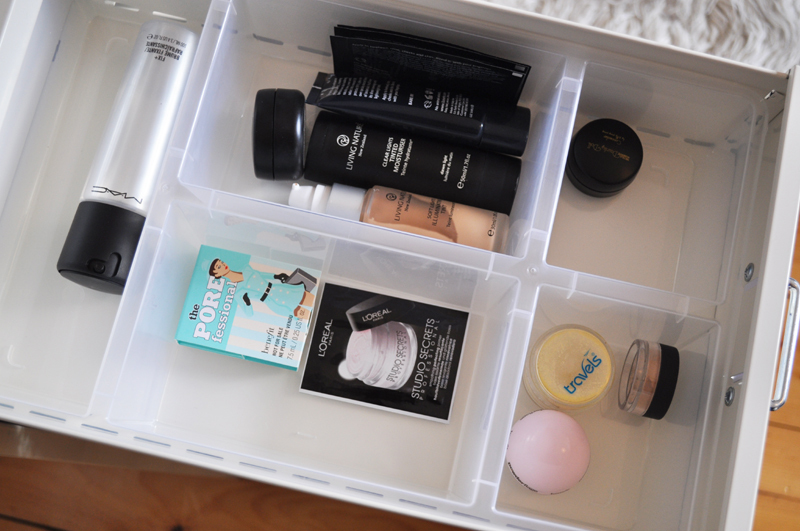 So now I have a drawer for face products, one for cheeks, two for eyes and two for lips. 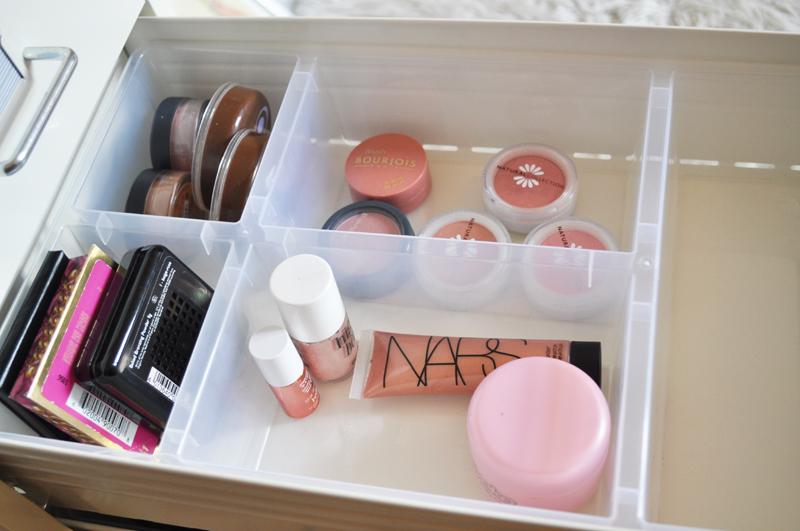 I really like how the compartments are different sizes and I can even fit my Mac palettes and Naked palette in them. It makes storing things so much easier. A bit of advice if your going to buy the Helmer and Antonius is they're both in the flat pack area. I stupidly didn't right down the name for the compartments and couldn't for the life of me remember what they were called. I looked through the catalogue, asked several members of staff and ended up walking round the store twice looking for them on display. No luck at all! My phone had died so I couldn't even look on the internet or text someone! After all that we, I was with my mum, walked past the kitchen design area which had the ikea website up on the computer and saw that you could log in and see what was in your shopping list. Luckily I'd saved everything in that and we finally found out the name! 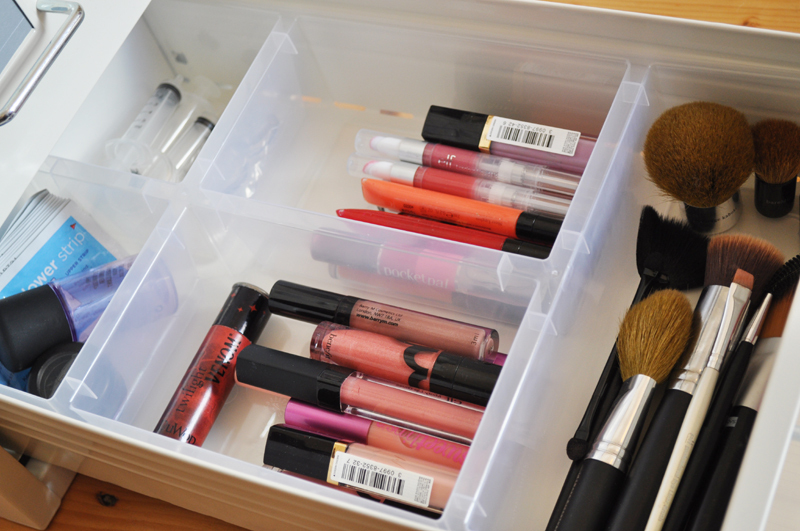 How do you store your make-up? If you have a post on it, leave your link in the comments! lovely collection! not too much and not too small to experiment :) plus...everything looks so clean with those translucent storage. A beautiful clean storage! I love it! My storage is a bit horrendous at the moment. I keep them all in a tallboy... and it's overflowing! Great post! 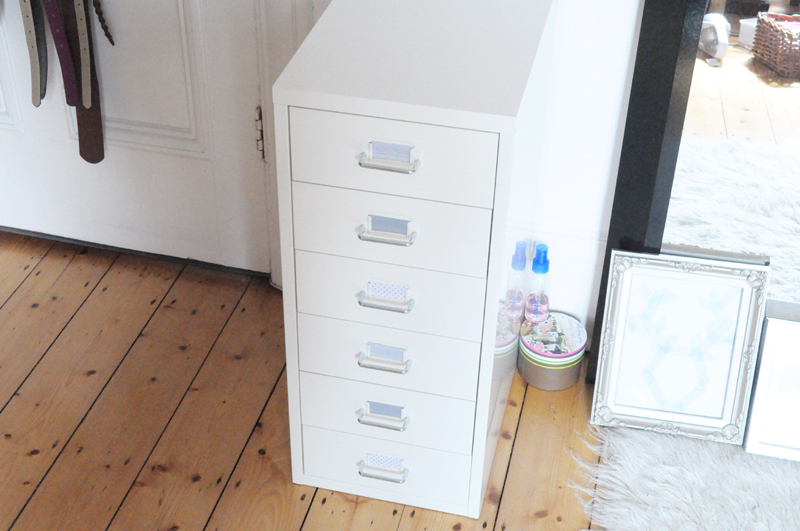 I have the Ikea Alex 9 drawer unit and loveeee it! I don't have drawer seperaters though! 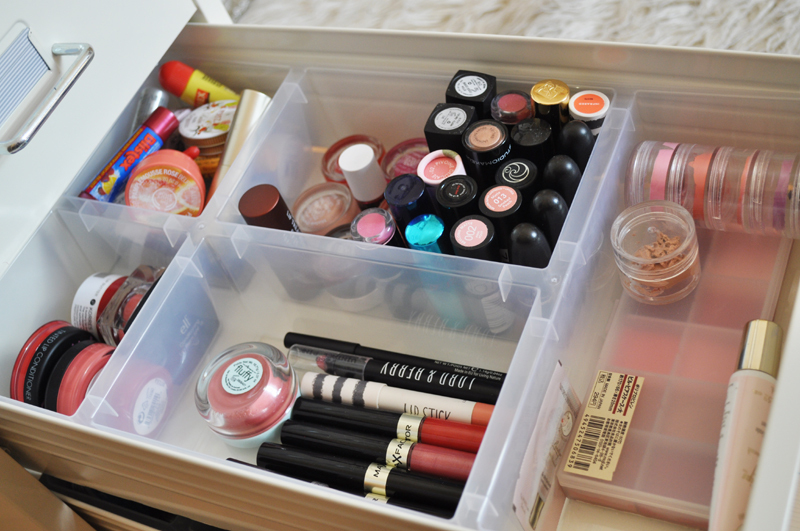 Wish I had the ones you have, I have little plastic tubs which I've used to organise my drawers. I really love your set up.Makes me want to go out and buy it NOW. For the unit I have, and the overall facility itself, the prices is really good. However their customer service is what was a key differentiator. I highly recommend this place.